Hello, my name is Johan Roman Burghers. 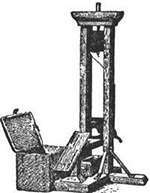 I live in the time period of the French Revolution. I'm in the first estate. I live in the great palace of Versailles. I bunk with my boy Louis XVI. I'm one of the men that lower taxes but don't have to pay a lot of taxes. I think that is fair though because i have a lot of money and have power over the other citizens. I am a good citizen though. I wok in my church in the early morning into the late night on our Holy Day of Sunday. I was very close to Robspierre until he was killed by the Reign of Terror. That's one of the resons why i dont like the rest or the estates because they killed one of my cose friends. That's why i make people pay money for taxes and take their food. I like the feeling around france and it doesn't bother me at all. When i was growing up my parents were always hard on me for school and church work. it payed off in the end because now im on the top of the Estates. I don't feel bad for the other people because they made their way to be like that.